JON CARDINELLI looks ahead to the Rugby Championship Test between Australia and Argentina on the Gold Coast this Saturday. It’s not often the All Blacks host the Springboks and it’s not the biggest contest of the weekend. This statement is made with the Boks’ recent struggles in mind. The All Blacks will head into the clash in Wellington on Saturday as overwhelming favourites to claim a big bonus-point win. The outcome of the later match between the Wallabies and Pumas on the Gold Coast is harder to predict. The Wallabies haven’t lost to the Pumas in Australia since 1983. History is certainly on the hosts’ side. That said, the Jaguares – effectively the Pumas in a different guise – won two Super Rugby matches in Australia earlier this season. Those players will believe that a win against the Wallabies in the Rugby Championship – perhaps even two – is within their reach. As was the case last week, there has been some doubt regarding the availability of star players Israel Folau and David Pocock. 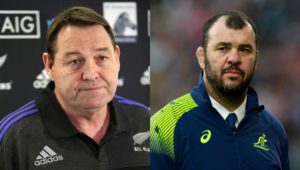 Both trained with the Wallabies in the lead-up to the Test against the Boks in Brisbane, yet both were ruled out of the match-day squad shortly before the game commenced. Folau and Pocock trained with the team in Robina earlier this week. 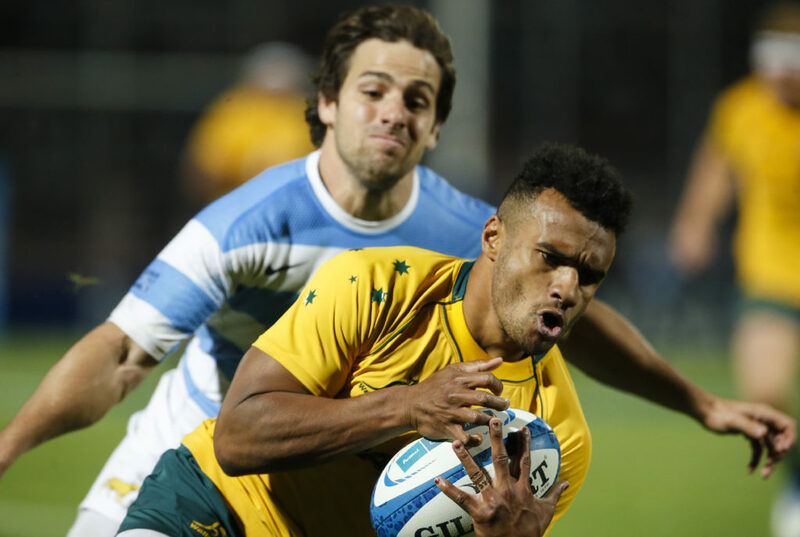 They have been named in the Wallabies starting XV, but it remains to be seen if both will front Argentina this Saturday. It’s interesting to note that Folau has been selected on the wing instead of at fullback, his preferred position. The Wallabies edged the Boks 23-18 in Brisbane last week despite the absence of Folau and Pocock. 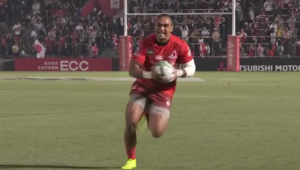 The return of Folau would certainly boost their attacking and aerial game, while the addition of Pocock would hand them a big advantage at the breakdown. Pocock will captain the Wallabies from the openside flank position on Saturday after Michael Hooper was ruled out with a hamstring injury. Peter Samu is at No 8. The Opta stats suggest that the Wallabies are the worst attacking side in the tournament after three rounds. No team has averaged fewer carries, metres made, defenders beaten, and tries scored than the Wallabies. Argentina coach Mario Ledesma has highlighted these numbers when speaking to the media this week. Of course, one needs to bear in mind that two of those three games were against the All Blacks, the No 1 side in the world. The Wallabies may enjoy more attacking success against the Pumas, who have averaged the most missed tackles (33) to date and have leaked the most tries (15). The Pumas will look to match the Wallabies for tempo and attacking intent. 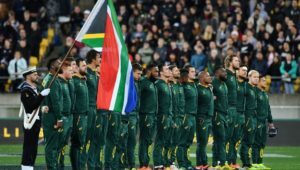 They have impressed on attack recently, scoring four tries against the Boks in Mendoza and three against the All Blacks in Nelson. Argentina have one of the best goal-kickers in the business – Nicolás Sánchez has an 85% record in this year’s tournament – and ultimately the means to edge a tight contest. It will be interesting to see when – rather than if – Wallabies coach Michael Cheika brings his team’s best goal-kicker, Bernard Foley, on after half-time. o Australia won 15 of their last 16 games against Argentina, including their last six on the bounce where they scored an average of 36 points per match. o Argentina have only one Test victory to their name so far in 2018 (won one, lost five). 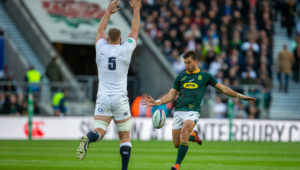 The last time they won only a single Test in a calendar year was in 2000.
o Last week was the first time in seven games that Argentina scored more than seven second-half points in a Rugby Championship match, notching up 17 points against New Zealand. o Australia will be searching for back-to-back wins in the Rugby Championship for the first time since 2016.
o Australia averaged the fewest metres gained of any team in this campaign (400). o Argentina (15) and Australia (14) have conceded the most tries in the tournament. o Only Ben Smith (seven) has made more offloads in the Rugby Championship this year than Argentina’s Nicolás Sánchez (six). The flyhalf became Argentina’s top point-scorer of all time last week. Wallabies – 15 Dane Haylett-Petty, 14 Israel Folau, 13 Reece Hodge, 12 Matt Toomua, 11 Marika Koroibete, 10 Kurtley Beale, 9 Will Genia, 8 Peter Samu, 7 David Pocock (c), 6 Lukhan Tui, 5 Izack Rodda, 4 Rory Arnold, 3 Allan Alaalatoa, 2 Tatafu Polota-Nau, 1 Scott Sio. Subs: 16 Folau Faingaa, 17 Tom Robertson, 18 Taniela Tupou, 19 Adam Coleman, 20 Ned Hanigan, 21 Nick Phipps, 22 Bernard Foley, 23 Jack Maddocks. 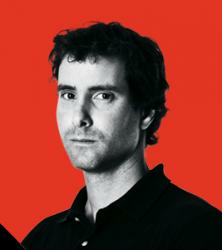 Argentina – 15 Emiliano Boffelli, 14 Bautista Delguy, 13 Matías Moroni, 12 Jeronimo de la Fuente, 11 Ramiro Moyano, 10 Nicolás Sanchez, 9 Gonzalo Bertranou, 8 Javier Ortego Desio, 7 Marcos Kremer, 6 Pablo Matera, 5 Tomás Lavanini, 4 Guido Petti, 3 Santiago Medrano, 2 Augustin Creevy (c), 1 Nahuel Tetaz Chaparro. Subs: 16 Julian Montoya, 17 Santiago Garcia Botta, 18 Juan Pablo Zeiss, 19 Matías Alemanno, 20 Juan Manuel Leguizamon, 21 Martin Landajo, 22 Bautista Ezcurra, 23 Juan Cruz Mallia.